As a sequel to Unlikely Allies, Feral is now willing to work with the SWAT Kats (just like Captain Lance and Team Arrow). They team up when a crime lord called the Aristo Kat (inspired by the Penguin from Batman) tries to replace Manx as the Mayor of MegaKat City. Felina finds out about Feral working with Tan and gets angered at him as well as for not telling him Chance is T-Bone. Callie and Felina will learn that Chance and Jake are the SWAT Kats. Also, I'm rewriting Unlikely Allies so Rupert doesn't appear since his role would be replaced by Jake. I'll try to introduce him as a fan character in a series I'm planning to write about Feral which is a spinoff. Mayor Manx was struggling to avoid a recall since his political enemy Theo Bloom wanted to replace him as the mayor of MegaKat City. Suddenly outside the streets of MegaKat City where Manx and Murphy were debating, a group of kats dressed as circus clowns were wrecking havoc across the City and attacking people. Deputy Mayor Callie Briggs and Lieutenant Felina Feral were on a double date with their boyfriends Chance Furlong and Jake Clawson. Callie found out about the attack on the news and told everyone how she has a secret communicator to speak with the SWAT Kats in case there is an emergency. Callie and Felina ended up having to find out that their boyfriends are the two masked vigilantes known as the SWAT Kats. Felina was upset that Chance didn't tell her and that her uncle Feral knew about it. The Enforcers, led by Feral, were helpless to stop the attack. Feral rudely ordered his Enforcer snipers to stop firing at the crowd and knocked their guns out with his paws since Feral feared that they might hit a civilain by mistake. T-Bone and Razor showed up in the HoverKat and managed to takeout all of the thugs with their martial arts. Feral interrogated one of the clowns so he can find out who planned this and the clown explained it was a mysterious crime lord known as the Aristo Kat. The clown then handed Feral a book that the Gentle Kat gave him which was about how to have polite manners. Unfortunately, Feral took it as an insult and ripped the pages out in anger. Razor found the store that the book came from and went with T-Bone to talk to an old lady who owned the place. The old lady explained to the SWAT Kats that she sent a lot of books based on anything related to politeness to a night club owned by Bloom. The SWAT Kats then passed that information onto Feral who was in his office doing paperwork and now willing to work with the vigilantes. Feral, Detective Jerome Weston, and the rest of the Enforcers went to Bloom's night club once they recieved a warrant from a judge that owed Feral a favor. Unfortunately, Bloom is one step ahead of the Enforcers since he had already shredded all the documents that would incrimminate him. Bloom then lied to the media that Manx sent the Enforcers to harrass him and that prompted Manx to replace Feral with Steele as commander much to Callie's dismay. As it turned out, Bloom was secretly a crime lord known as Aristo Kat and he got to be one step ahead of the Enforcers since he had a mole in the organization who was a beat cop named Charlie. Charlie didn't want to be involved in any of Aristo Kat's activities, but Aristo Kat had his daughter Petunia held hostage in a bird cage located in the attic of his mansion. Jerome learned from his informants that Aristo-Kat had a videotape showing Manx accepting a bribe from a construction company so the city council can give a contract to them. T-Bone contemplated having to check Aristo-Kat's night club again, but Razor was against the idea since Aristo Kat would be on his guard since he thought Feral was on to him and suggested that they check his mansion. T-Bone and Razor went to check out the mansion and found the tape, however they were attacked by Leo, a former member of the circus with super strength. With Razor's help, Chance got Leo to be up into the air with a chain. At the Hanger, T-Bone, Razor, Jerome, and Feral reviewed the tape with Mayor Manx in it and realized that the video was made to frame him. That made Razor develop an idea to play dirty by making it look like that Bloom is corrupt when he actually is. At a press conference being held in Aristo Kat's honor, Feral distracted the Enforcers by getting arrested for punching Steele in the face (something he had always wanted to do) while T-Bone and Razor uploaded the confession in the Jumbotron. Enraged, the Aristo-Kat fled to his mansion and decided to get revenge on the citizens of MegaKat City. Felina went to confront her uncle in a holding cell to talk about how he came to work with the SWAT Kats. Feral explained everything about how he was forced to work with the Yakuza when they threatened Felina which made her more upset since Felina wanted to decide when she gets protection. Feral refused to believe that since he promised his brother John that he would take care of her and Felina left in anger but not before revealing to him that she had been sleeping with Chance. T-Bone, Razor, and Jerome learned from an Enforcer dispatch that Santa was robbing a toystore and the trio responded to the call. They discovered that some robotic Santa and eight robotic reindeers were wrecking havoc. The robots were actually being controlled by Aristo Kat who wanted revenge on everyone since he never had a good christmas as a kitten. Jerome and the SWAT Kats battled the robots until Santa was left and soon he was taken out which upset Aristo-Kat. Jerome, T-Bone, and Razor arrived to visit Feral who was imprisoned in Enforcer HQ. Feral was angry upon learning that T-Bone was sleeping with his niece and Jerome began to dance around telling everyone in the Enforcers about it until he calmed down. Charlie couldn't live with himself and told Felina everything about his alliance with Aristo Kat since Aristo-Kat kidnapped his daughter. Steele, who was recovering from Feral's punch with an ice pack, ordered Jerome and Felina to raid Aristo Kat's mansion. Feral wanted to help, but Steele refused since Feral punched him. 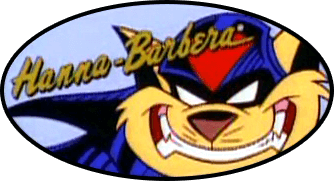 The SWAT Kats, backed by Felina, Jerome, and the rest of the Enforcers, attacked Aristo Kat and his men at his mansion. Razor was able to get Petunia out of her cage and took care of her while T-Bone was fighting Aristo Kat. T-Bone gets held at gunpoint by Aristo Kat until Felina knocks him out while Feral (who had escaped from prison with help from the Sergeant) distracted everyone. Aristo Kat and his henchmen get arrested and Charlie is reunited with his daughter Petunia. Steele, arriving after everything is already done with, attempts to take credit for everything which made everyone angry since he didn't help in the rescue mission. Manx offered to give Feral his job back, but Steele was angry since Feral escaped from custody until Manx threatened to have him fired. Feral refused since he wanted to leave MegaKat City for a while to think things over since he never thought he'd be breaking the law and working with vigilantes. Manx agreed to it and Steele decided to drop charges on Feral for hitting him. Before Feral left, he gave Jerome and Felina advice on how to deal with Steele being in charge by using his ego. After T-Bone and Razor give the newly appointed Commander Steele simultaneous punch to the face, knocking him out, they both left the scene dancing to the Edwin Starr song that Jerome was playing which titled "War".